Did you know that the walls of your blood vessels are made of collagen and elastin? The purpose of the collagen is to keep the inside of the arteries and veins smooth. The purpose of the elastin is to make these vessels elastic so they can stretch when the heart pumps blood into the body. 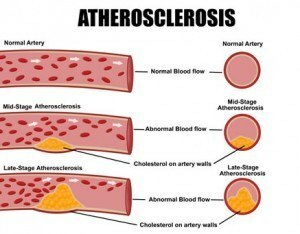 The big problem in atherosclerosis, or hardening of the arteries, is that the blood vessels are stiff and as a result the blood flow is reduced by 15 percent or more. Your heart has to work harder to make up the difference. Does Aging Effect Arterial Collagen Production? The bad news is that as you get older, you are losing collagen in your body. And you also lose the ability to digest and absorb it. This makes it difficult to have all the collagen you need for health. One reason why you absorb less collagen from foods is because the amount of hydrochloric acid produced in the stomach dwindles as you pass the age of 40. This is why many people take a collagen supplement of collagen peptides called Hydrolyzed Collagen. The peptides are so small that they are absorbed immediately into the bloodstream straight from the small intestines. Researchers report that 90% of these collagen peptides are found inside the body within 6 hours. However, when you eat animal protein, only about 27% of the proteins. The destruction of collagen is not actually caused only by aging, as some people think. Even when you were young, your body was constantly destroying and replacing its collagen as part of a natural cycle. It’s just one of the ways that the body is constantly re-creating itself. But as you get older, your body produces less collagen and elastin than when you were younger. Continued destruction and decreased production results in less collagen. It’s when our ability to produce new collagen is inhibited that we start to see problems related to stiffness and loss of elasticity such as atherosclerosis. Besides your body’s natural cycle of collagen destruction and regeneration, the environment can also play a role in destroying collagen. UV Rays from the sun, toxins in food and water and even stress can cause collagen to break down faster than normal. It’s important to get a healthy amount of Vitamin C from natural food sources. Antioxidants such as vitamin C, Coenzyme Q10 and Vitamin E are your first line of defense for protecting collagen from free radical damage. But the most important antioxidant for collagen health is vitamin C because it helps do both–protect and boost production. When Nobel Prize winner Linus Pauling announced that plaque deposits in the arteries were not the cause of heart disease, most members of the medical establishment thought he was wrong. Pauling said arterial plaque was the result of the body trying to repair damage caused by a long-term vitamin C deficiency. He believed heart disease was a form of scurvy and that the plaque was due to the body reinforcing and patching up weakened areas of the blood vessels that would otherwise rupture. Pauling also showed that heart disease could be prevented or treated by taking vitamin C and other supplements. Plaque deposits found in human aortas are made of a special form of cholesterol called lipoprotein a or Lp(a), not from ordinary LDL cholesterol. Lp(a) is a special form of LDL cholesterol that forms the thick sheets of plaque that obstruct arteries. Plaque deposits are not formed randomly throughout the circulatory system. The Canadian doctor, G.C. Willis, M.D., reported this in the early 1950s. He discovered that plaque always forms nearest the heart, where blood vessels and arteries are constantly being stretched and bent, and not spread evenly throughout the entire cardiovascular system. Plaque also deposits in arteries exposed to the highest blood pressures, such as the aorta. In 1985, researchers verified that plaque only forms in areas of the artery that become damaged. Tiny cracks form in the lining of the artery. As these tiny cracks open, the amino acid lysine – a component of collagen – gets into the bloodstream. This attracts Lp(a), an especially “sticky” form of cholesterol. Lp(a) begins to collect and attaches to the lysine. Over time, ever-larger deposits of plaque build. This process gradually reduces the inner diameter of the vessels and restricts its capacity to carry the blood. Is Heart Disease Really Low-Level Scurvy? 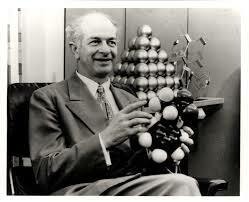 Linus Pauling investigated the connection between Vitamin C, Collagen and arterial hardening. Heart disease does not happen in animals that manufacture their own vitamin C. Many animals produce as much as 10-20 grams vitamin C per day and they are basically immune to heart disease. The only animals that produce Lp(a) are those which have lost the ability to produce their own vitamin C, such as apes and guinea pigs. 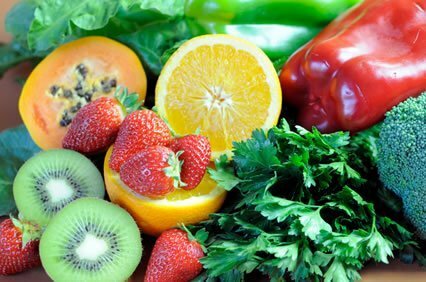 Our ancestors lived in tropical regions where they consumed primarily fruits and vegetables, providing up to several grams vitamin C per day. Our ancestors easily survived without the gene required to manufacture vitamin C because their diet gave them what they needed. However, when humans left the “garden” for more temperate climates, the lack of a reliable and adequate supply of dietary vitamin C led to scurvy. Pauling also believed that conventional “triggers” of plaque formation, such as high levels of homocysteine and oxidized cholesterol, are actually just additional symptoms of scurvy. Pauling’s theory addressed a fact never explained by older, mainstream theories – why plaque isn’t randomly distributed throughout the body, but instead, restricted to areas of high mechanical stress. Animal studies have been found to support his theory. Studies on animals that cannot make their own vitamin C show that when vitamin C levels are reduced, collagen production drops and blood vessels become thinner and weaker. And when animals are deprived of vitamin C, their bodies respond by increasing blood levels of Lp(a) and forming plaque deposits to strengthen arteries and prevent vessel ruptures. Linus Pauling recommended vitamin C, lysine and proline to help remove existing plaque while strengthening weak and damaged arteries. He theorized that by increasing lysine and proline in the blood, Lp(a) would bind with the free lysine and it wouldn’t form plaque. While clinical scurvy can be prevented by 10 mg vitamin C per day, there is no current research showing how much is required to prevent the atherosclerotic plaques of chronic scurvy. Linus Pauling often recommended 3,000 to 5,000 mg per day as an effective dose. Anecdotal reports from patients using the Pauling Therapy indicate that rapid recovery is frequently the rule, not the exception, allowing many people to avoid open heart surgery and angioplasty. Vitamin C: Take as much as you can take without experiencing diarrhea. This is called “bowel tolerance”. So increase your dose by 500 mg per day until you get diarrhea, then back down. After several days, you can try increasing the dose again. For most people the “bowel tolerance” will be in the range of five to ten grams (5,000-10,000 mg.) per day. Spread this amount into two equal doses 12 hours apart. You must be consistent with this dose. L-Proline: 3 grams twice per day (acts to release lipoprotein(a) from plaque formation and prevent further deposition of same). L-Lysine: 3 grams twice each day (acts to release lipoprotein(a) from plaque formation and prevent further deposition of same). Niacin: Decreases production of lipoprotein(a) in the liver. Inositol hexanicotinate is a form of niacin, which gives less of a problem with flushing and therefore allows for larger therapeutic doses. Begin with 250 mg at lunch, 500 mg. at dinner and 500 mg at bedtime the first day; then increase gradually over a few days until you reach four grams per day, or the highest dose under four grams you can tolerate. Be sure to ask your doctor for liver enzyme level tests every two months to be sure your liver is able to handle the dose you are taking. Vitamin E: 800-2400 IU per day. This dose inhibits proliferation of smooth muscle cells in the walls of arteries undergoing the atherosclerotic changes. Magnesium: 400–1,000 mg daily. Many heart attacks are caused by dangerously low magnesium levels. Many heart attacks can be prevented simply by supplementing with this mineral. Magnesium relaxes the smooth muscle tissues that dilate the arteries and reduce blood pressure. Hydrolyzed collagen: research has shown that the daily intake of 10,000 mg supports the production of collagen in the repair of the lining of arteries. Exercise. Regular exercise helps maintain the health of the vessels leading to the heart. Exercise also can strengthen the heart muscle itself. Walking after meals, even just for 10 minutes, can reduce blood sugar after meals, and prevent further damage to the blood vessels. Stop smoking. Smoking oxidizes cholesterol, causing it to deposit in your blood vessels and contribute to atherosclerosis. This is the single most important change you can make to reduce your risk of heart disease and stroke. A great program is 14andout.com. We are indebted to Linus Pauling for finding the real cure of heart disease caused by plaque in the arteries. Modern medicine may take another 50 years to come to the same conclusion! Currently, the medical establishment believes that hardening of the arteries cannot be reversed once it has occurred. This is what they have seen in their practices because they have not focused on nutritional changes to help stimulate the healing processes of the body and reverse disease. Thus, what they’re saying is technically true. However, there’s a whole other part of science that is ignored by medical doctors – that of nutrition. And when nutritional principles are used, then “miracles” often happen. The body was designed to heal and repair itself. I’ve put together an e-book with more than 10 different ways you can naturally improve the health of your body’s collagen. You can download it for free by clicking here. The bottom line is that you have a choice to make. You can spend a lot of time walking down the same path that medical doctors walk – with little results and a lot of pain and suffering. Or you can take the fork in the road that looks at what else is out there – and then try it. With commitment to alternative treatments and changes to your diet and lifestyle, you can reclaim your health. You won’t be the first person that did and you won’t be the last. Understanding how a disease starts and evolves helps you become empowered to do something about our health. And once you use some of these techniques, you may start to feel better in a lot of ways. Your quality of life will improve, and you’ll look in the mirror and see you appear healthier. Step by step, you’re changing the course of your life.